Based on the research and insights of Jeff Hyman , Carter Cast, Dylan Minor and Brenda Ellington Booth. Everyone wants to fill their organization with top performers. 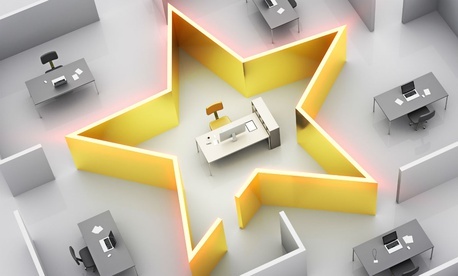 But superstars are in high demand, so you need a clear strategy to recruit and retain them. At the same time, don’t ignore the drag that problem employees can have on the organization. By some measures, the liability that comes with bad employees is more pronounced than the boost you get from superstars. Here, Kellogg faculty offer advice on how to nurture superstars and rid your organization of “toxic” workers. 1. Challenge is key in keeping valuable employees. 2. Tailor a career path for superstars. While most people know superstars can improve an organization through their strategic thinking and tenacity, research shows they have another superpower: they can improve the work of the people they sit near. 4. What to do with a toxic worker. Given this, what can organizations do to avoid bringing toxic workers into their ranks? 5. Identify your own liabilities. “You're defensive. You're overly ambitious, and you sort of bruise people on your way to the corner office,” he says. This piece was previously published in Kellogg Insight. It is republished here with permission of the Kellogg School of Management. Previous Post | Will Quitting Social Media Hurt My Career?